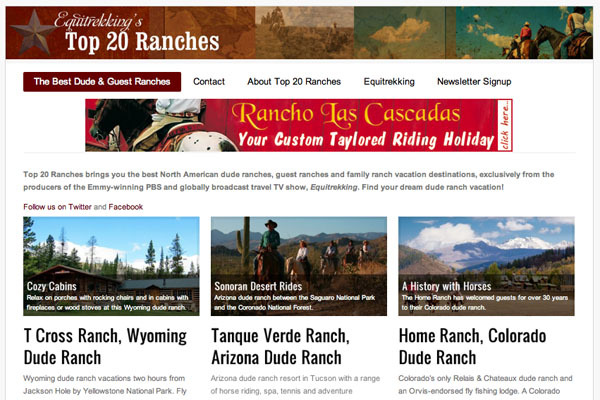 Check out our top 20 North American dude ranch picks on a brand new website and ranch vacation resource Top20Ranches.com The top dude ranches include geographically diverse picks from Arizona, New Mexico, Colorado, Mexico, Montana, Texas, Georgia, Wyoming and Idaho. 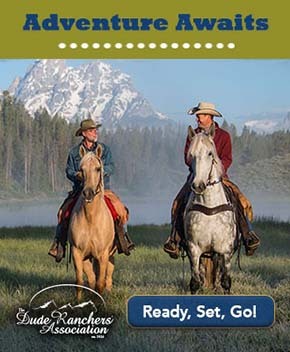 After spending the last six years traveling the world searching for the best ranches, resorts and horseback riding travel destinations, it was tough to pick only twenty elite dude ranches and guest ranches. 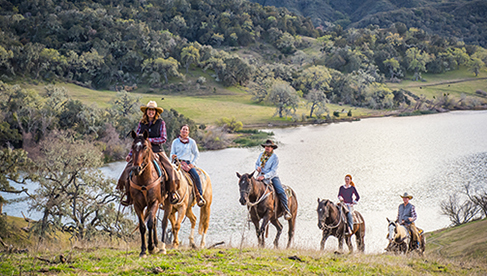 We've ridden and filmed at many of these ranches for our Emmy Award-winning TV show Equitrekking and written about the dude ranch industry for leading publications. Check out our picks for the best dude ranches! Have a ranch you think should be on this website, email us.